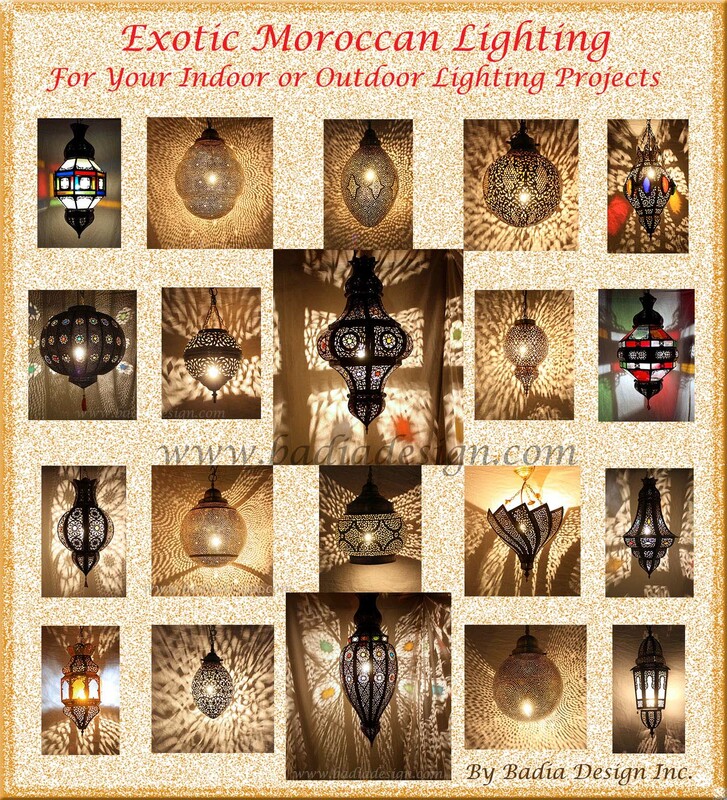 Exotic Moroccan Style Lighting for indoor or outdoor lighting projects. Our beautiful and Exotic Moroccan Style Lighting – designed to add mystery and color to any space in your home or office. They are hand punched and hand designed by our skilled Moroccan artisans. They make for an unforgettable decorating piece or gift that I’m sure will solicit many compliments and admiration from friends and family. We have many different sizes and colors to choose from. Check out http://www.badiadesign.com for detailed information on our Exotic Moroccan Style Lighting.